We’re huge fans of Postman here in the development team at Cronofy. It’s our go-to tool for exploring and evaluating not just our own API but any APIs we’re looking to investigate. The Run In Postman button now embedded in our Developer Dashboard allows you to quickly explore the Cronofy API using your own calendars. Postman’s core functionality is to help developers to build HTTP requests and send them to APIs, inspect the responses and use that to explore an API’s capabilities. What started out as a Chrome Extension now also comes as a fully fledged desktop application with the ability to share and import collections and environments (collections of variables to use with API calls). You can write your own test cases to validate response data, response times, and more! Importantly it’s completely free to download. It will even generate source code for you to drop into your applications. It truly is becoming an indispensable tool for any developers building or consuming APIs. 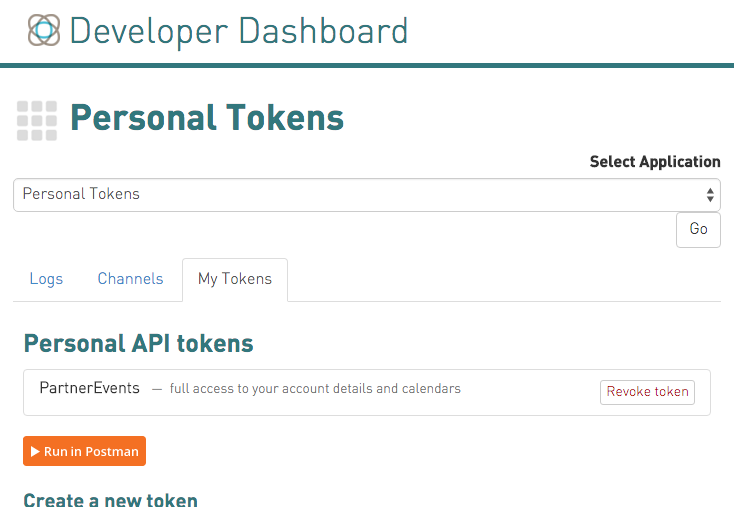 You can find it in the Personal Tokens section of the Developer Dashboard once you have created your first token. More information on how to do that in our Getting Started Guide. This link will allow you to import the Cronofy API Samples collection into your copy of Postman which contains a series of API interactions ready made for you to get started. Importantly it also imports a Cronofy API - Personal Token environment for Postman which contains not only your Personal Token but also some other variables to help get you started. You can edit these by choosing Manage Environments in Postman. The Postman documentation is definitely worth having a read through if you’re new to Postman. You’ll no doubt soon discover what a useful tool it is. We’ll be adding to the collection of API samples so if you have any you’d like to see please let us know what you’d like to see either @cronofy or support@cronofy.com.